If you were given only 24 hours limit to explore and get to know the chosen city as much as you can, what will you decide to do? For me, I know that despite of how many hours, days or weeks you are spending somewhere, there is always something new to discover. 24 hours is a good solid amount of time to spend a day to see plenty of stuff what the beautiful city can offer. For anybody who is would like to enjoy London in the fullest and in such a short period of time, I write down my itinerary suggestion. 8 a.m. It is worth to wake up early because you do not want to miss a minute of the exciting day ahead. Why not to head to Shoreditch for a breakfast to Breakfast Club which is either located in Old Street or Liverpool Street. Even though it is an American style eatery, you may find a typical English style breakfast in the menu too. Before or after the meal, a short walk around Shoreditch may give you some good inspiration from East London urban lifestyle and the beauty of street arts. Don't forget to pass through BrickLane, where you may stop by some vintage shops. On the weekend, the street will be even more filled by vintage, antique and also food market. 11 a.m. After a breakfast and a short stroll around Shoreditch area, let's walk down towards Tower Bridge and Tower of London. I suggest crossing the bridge after you took a look around Tower of London. Walk alongside the river, where you may find plenty of small shops, coffee places or restaurants and just admire the view from Thames from different angles. 1 p.m. Stop by Blueprint Cafe for a lunch break, a great modern European restaurant with a view on the Thames. Alongside the river you may find different places to eat, if you fancy to have some Italian, British, French, Asian or whatever cuisine you have in mind, I am sure you will find a place to satisfy your taste. 3:30 p.m. After short stop for lunch, continue your walking journey towards Tate Modern. You will pass London Bridge and Shakespeare's globe. You will arrive under a pedestrian bridge, called Millenium Bridge and across the river the view highlighted with St. Paul's cathedral. You don't have much time to see and admire the modern art in Tate Modern, but I would go up to the 360 degree view from top of the museum. It is so great, that for this time it can be replaces by the view from London Eye. (and it's free also!). If you really want, you may spend some time in Tate Modern. But we shall go, as we are running of time. After a quick visit to Tate Modern, let's cross the pedestrian bridge towards St Paul's cathedral. Maybe let's give a half an hour of quick glance around the cathedral and its park around. After that, let's catch up a bus and head to Charring Cross - Trafalgar square. 6 p.m. We should get off on Trafalgar square where we can take few snaps with lions and with fountains at the background. Either walk down or take another bus down to Westminster, where we visit London Eye, Big Ben and Parliament. It may get very busy around these areas, so be careful with your belongings and to not get lost. 7:30 p.m. After you admire some main landmarks of London, walk up back to Trafalgar square or take a bus and get off at Trafalgar square. Walk up to China Town for a well deserve dinner, passing through National gallery, National Portrait Gallery and Leicester Square. Walking though China Town and Leicester Square by night, is a great experience to get a taste of London busy night life. After a filling meal, let's make a short walk to digest the food and admire London by night. Walk to Picadilly Circus, where you will find yourself surrounding by cars, people and big shiny LED billboards. When you will be done taking some pictures here, let's find some bar in Soho to toast for the successful London day. Soho is a vibrant area of London where you may find many bars, coffee shops and restaurants. 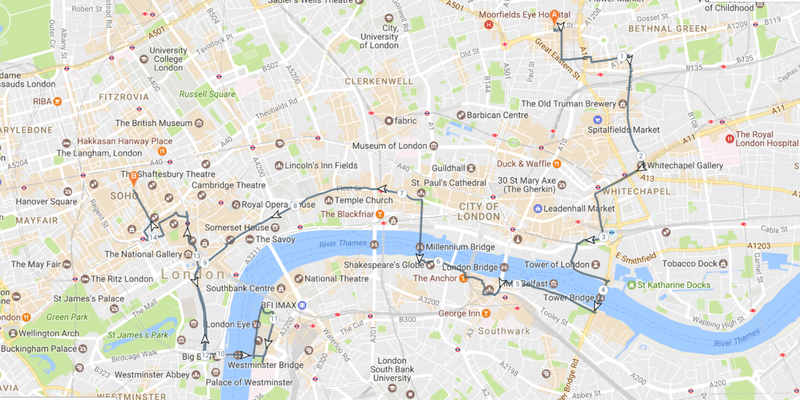 You may get very tired after the walking tour over London, so after a drink or two, let's get a tube or bus back to a hotel or Airbnb place (book through my link to get £19 off your booking). However, if you are still full of energy and eager to get out of London the most, then let's go explore the clubbing scene of London. London has many great clubs and gigs places all over. 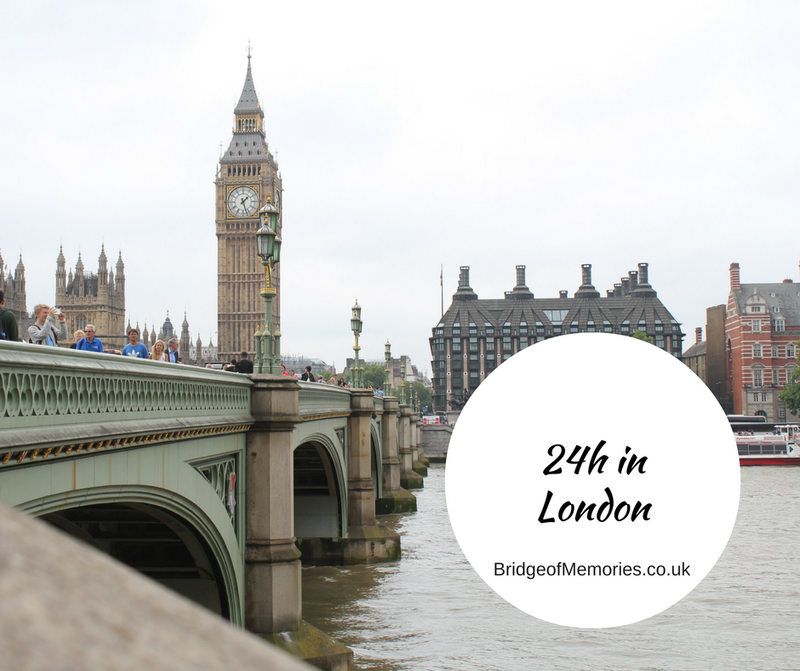 You may be interested to read more about London life and places. 10:30 p.m. London night scene starts very early (around 10/11pm) and tends to end around 3 a.m.
4 a.m. If you have survived until then and got some cravings after drinks, then why not to go straight to have some early breakfast at Duck & Waffle. A hangover stop to get some last impression over sun rise above London is great ending of a rough busy full day in London, don't you think so? It doesn't matter how many times you have been here or how many times you have a picture next to Big Ben. There is always something new to explore and to see. Walking will give you an opportunity to see more and to stop at the most beautiful places. You can always adjust the itinerary according to your accommodation location or your goals (are you coming for shopping? or to see a concert? or to see a new exhibition?). 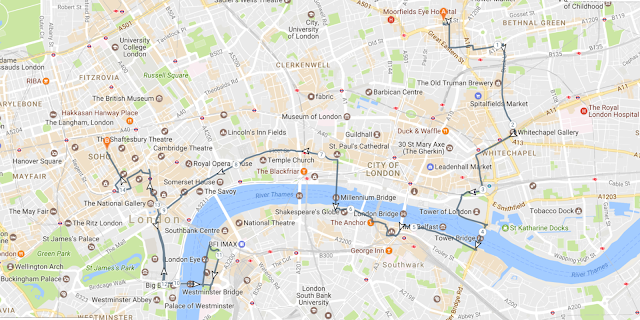 If you are in London for a first time or maybe second time, get on Original London Sightseeing tour or Hop on Hop off bus. A little touristy but will save you so much time and on the way you can decide where you would like to get off and explore more by foot. The tour bus will leave you time to explore more of the London. This 24 hours is demanding and combines mostly walk and bus journeys, according to the map, this itinerary is about 15 km long.